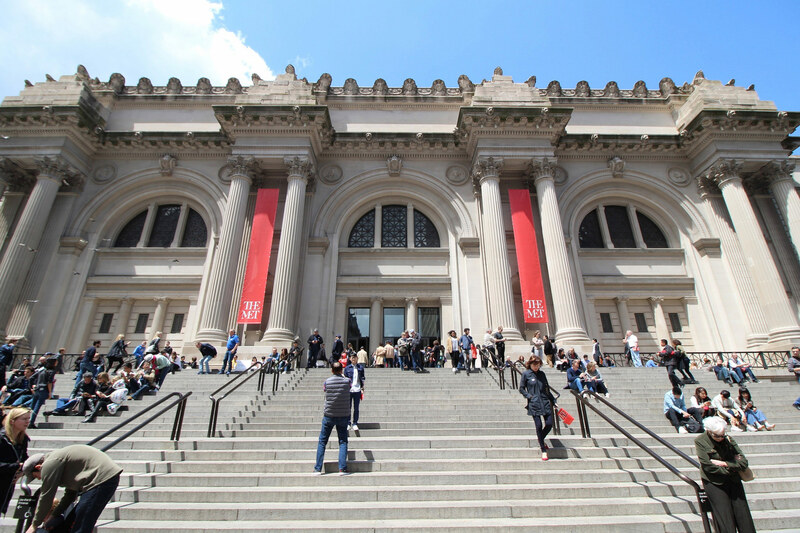 Slightly more than a year after British architect David Chipperfield was selected to redesign portions of New York’s Metropolitan Museum of Art, the project has been put on hold. Museum officials disclosed last month that they plan to temporarily suspend design work on the $600 million expansion project as part of an institution-wide effort to restructure finances and address a $10 million deficit. They said the restructuring would be a two year process and that a time frame for resuming design work on the expansion would depend on the pace of fundraising for it. The Chipperfield project will “be quiet for a while,” The New York Times quoted museum president Daniel Weiss as saying. 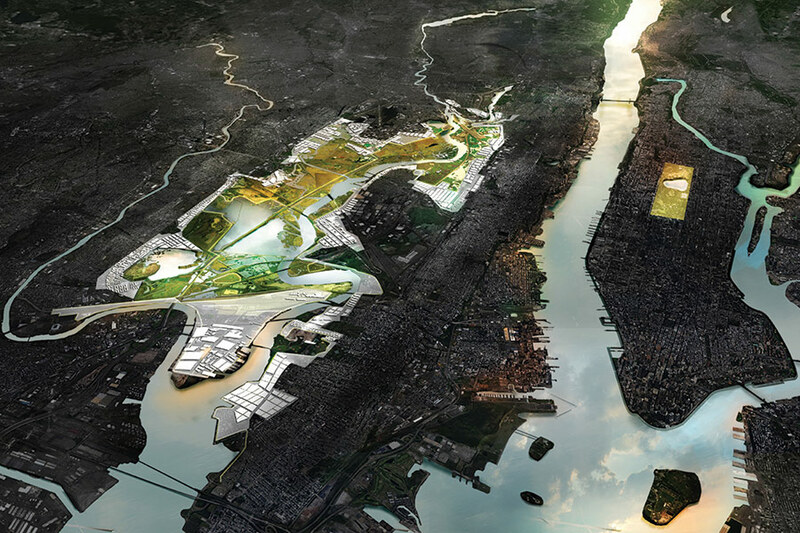 “The pace of the project is slowing,” Weiss said, according to The Wall Street Journal. The Met’s disclosure came in the same week that Museum of Modern Art officials announced a $100 million gift from entertainment mogul David Geffen to help fund their expansion, designed by Diller Scofidio + Renfro. Three floors of the museum’s new galleries will be named The David Geffen Wing in recognition of the donation, museum officials said. In March of 2015, officials at the Met announced that the museum selected David Chipperfield Architects to design an expansion, which most likely would involve demolition of the Lila Acheson Wallace Wing in the museum’s southwest corner, to increase exhibition space for modern and contemporary art and to double the size of the Roof Garden above the Wallace Wing. At the time, Met officials indicated Chipperfield also might become involved in redesigning other areas of the museum, including “adjacent galleries devoted to the Arts of Africa, Oceania and the Americas, as well as additional operational spaces.” In effect, he was being tapped to take on the design role at the museum that Kevin Roche had for many years. Demolition of the 110,000-square-foot Wallace wing, which Roche designed and which opened in 1987, would need approval from New York’s Landmarks Preservation Commission and others. In April of 2016, museum leaders disclosed that they plan a series of budget cuts and that the timing of the Chipperfield project would be affected. They said the schematic design phase has been completed and that they will wait to proceed with any more design work until money for the project has been raised. Other aspects of the restructuring include a reduction in staff through voluntary buyouts or layoffs or both, a hiring freeze, and scaling back some exhibition programming, as well as efforts to maximize revenues. 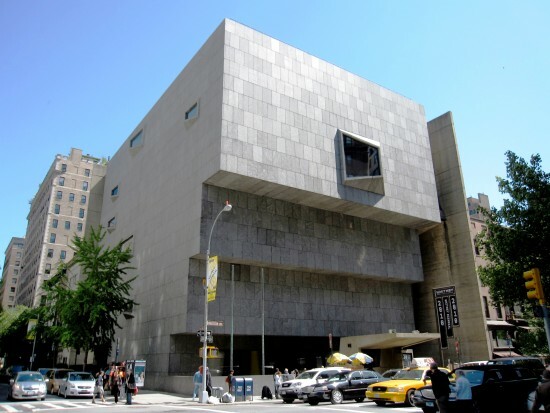 The cutbacks follow a period of expansion for the Met, including the opening of the Met Breuer satellite museum inside the former home of the Whitney Museum on Madison Avenue, and a reported $3 million campaign to develop a new branding approach for the institution. Chipperfield’s previous museum projects include the Neues Museum in Berlin, Museo Jumex in Mexico City, the Saint Louis Art Museum and The Hepworth in Wakefield, England. Last month, Chipperfield’s design for a new Nobel Center in Stockholm received approval from the city council there. The Met has been drawing more than six million visitors a year, even before the Met Breuer opened. According to a 2014 report in The Art Newspaper, it ranks as one of the three busiest museums in the world in terms of attendance, after the Louvre and the British Museum. 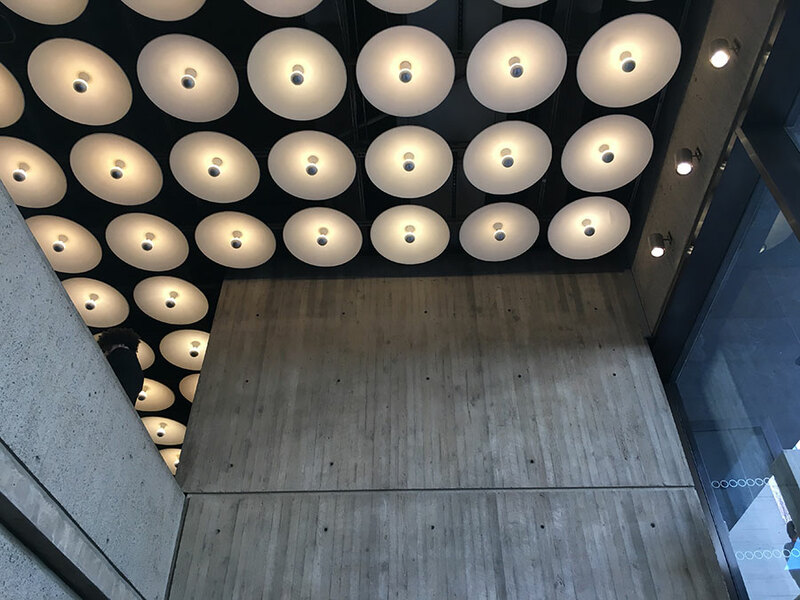 Today, March 18th, at 10 am, the Met Breuer officially opened in the former Whitney Museum at Madison Avenue and 75th Street. 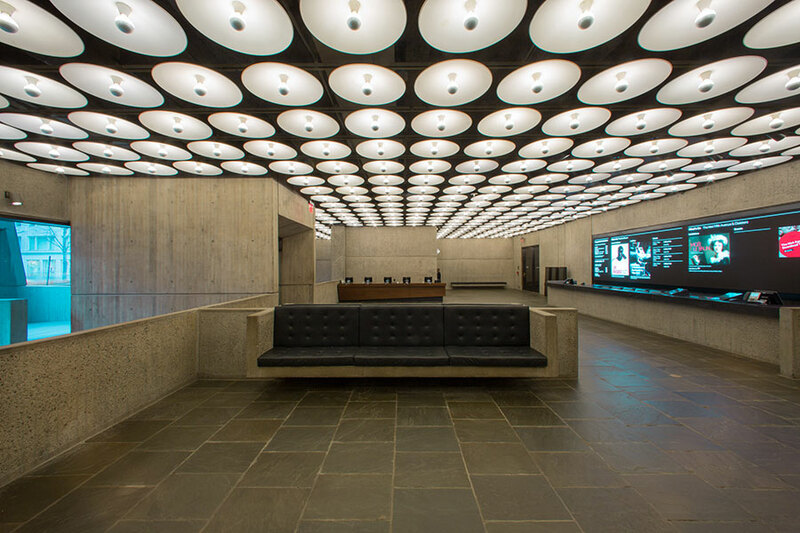 The Marcel Breuer-designed building has been restored and updated by an in-house design team and New York-based Beyer Blinder Belle. I had the opportunity to tour the building with the architects and Jorge Otero-Pailos, Associate Professor and incoming director of the Historic Preservation program at Columbia University GSAPP. For a full schedule of The Met Breuer’s opening weekend events, visit their website. The Architect’s Newspaper: What do you think the Met Breuer means architecturally? Jorge Otero-Pailos: Consider the first show that they are mounting there: Unfinished, Thoughts Left Visible. I think it is in part the Met’s way of signaling their view of the building. They are putting this question of the “unfinished” in relation to the building as their opening show. This is something that I’m very interested in because a work of architecture is never finished in the sense that a work of art could be finished. With art you can express that work is purposely left unfinished by the artist, but in architecture, even if the architect would have wanted to finish the building, it is constantly being transformed and switched and replaced. Now, part of the interesting thing about all of these brutalist buildings of the 1960s is that they shun away from what we call finishes, you know, like drywall and like trim and like paint, so the building itself evokes this sense of incompleteness, but in a that incompleteness is also showing a type of directness, or an idea about materiality and construction technique being on the foreground, which was prevalent in brutalist architecture. How does the intervention express this? It’s a very subtle work and I think it’s the kind of work that will be imperceptible to most people. I think that’s one of the really interesting things. There has been a major investment in upgrading the building done on the part of the Met, and it will appear to most people as if nothing has happened. That in itself is radical in today’s day and age, because we are so used to the trend that the institution needs to have a mark, that it needs to be present, that the branding needs to sort of appear and that the new needs to be expressed somehow, and that the present needs to be expressed. But here, the present is being expressed as a choice, as a choice to pick a building as opposed to the choice to build a building, which to me is very different and unique, sort of a real different idea about the city, even, than the idea of having to build and having to express the institution somehow. So this suggests a type of separation between the identity of the user and the identity of the building, which is quite refreshing. So there is a separation between identity of the institution and the building? Yeah. I mean, there is this distance between the two, they coexist, but they are not the same. I think that’s quite interesting, given the fact that most buildings go up today are so overtly trying to give expression to some sort of corporate identity or city identity or trying to embody the user or the financier or, it seems to me that this loosening up of that relationship is really important as a contribution. What is also refreshing is the role of the architect in the process, because what you would typically have is all of the discussion, not so much about the building, but about the personality and intentions of the architect. Here, we’re forced into a discussion about the building, about the object itself—its qualities, its successes and failures. We think about what it enables us to do and not do, what kinds of shows can be in there and not be in there, what kinds of audiences can be attracted to it, not attracted to it. So it’s about the building, and that, I think, is really extraordinary today when you look at architectural journalism or even criticism, so much of it tends to fold back on the biographical and the figure of the architect as the source of what gives unity and that becomes the criteria for judgment of the work. I think it’s a hard thing in today’s reality to even conceive of having to rethink this building and engage with it, and I would say that, that’s the exciting part about it, that here people are going to be looking very closely at the building, be looking for signs of change, and they’re going to find that it’s been very carefully manicured to appear as if nothing has changed where a whole lot has happened. 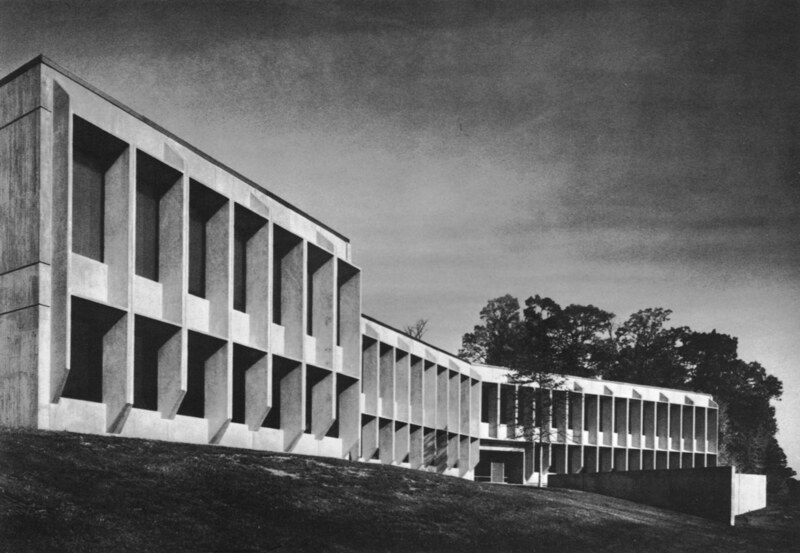 What is the relationship of the building to Breuer? 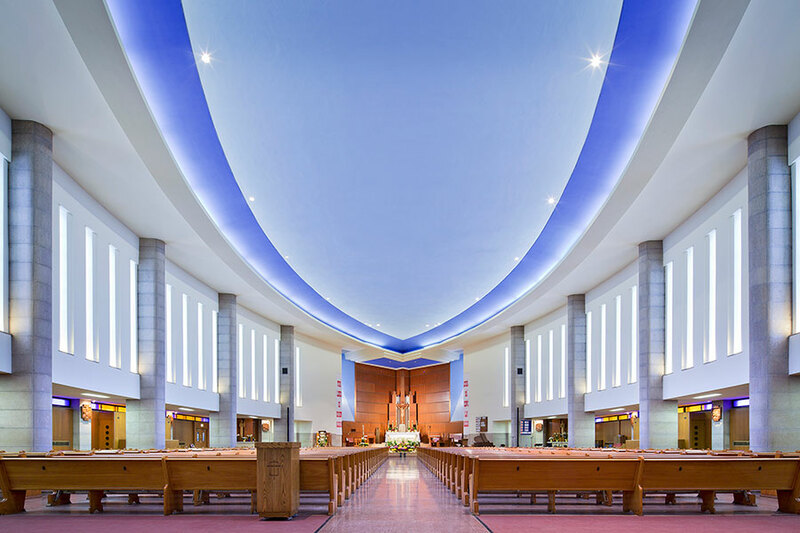 It is interesting that a building, in a sense, can have a life after its architect that it doesn’t have to be beholden to that, and that it doesn’t require a new architect in order to be relevant for today. We often hear so much about the need to hire a contemporary architect in order to make the existing building feel contemporary. And I think here, the fact that the architect has chosen not to leave their mark. Beyer Blinder Belle has chosen to hide their mark, which is very different and suggests that the building can be contemporary. 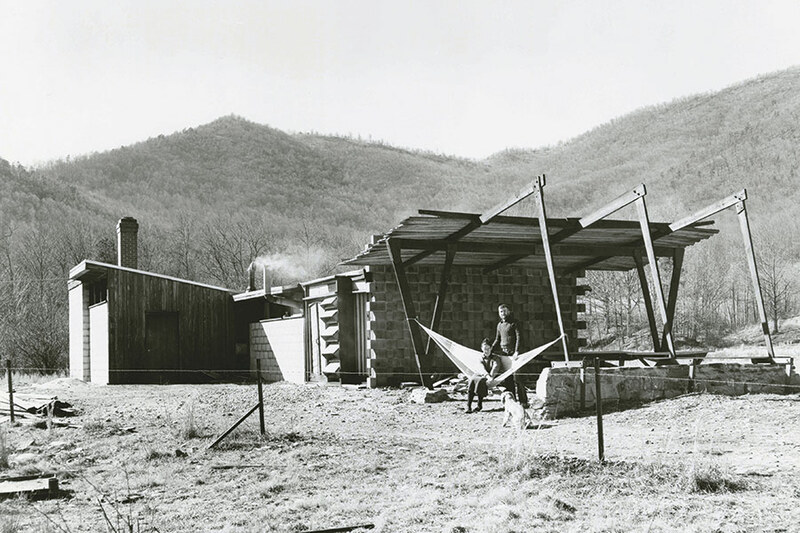 The process by which the building can become relevant and contemporary again is not necessarily through the mediation of a contemporary architect, but that it is concerned about whether people will like it or not. Will people come back? And so, will people choose it? And that sort of leaving it up to the public without over-manipulating it is, I think, a really daring thing that the Met is doing. Yeah. How does that contrast with the New Whitney, the last big museum to open up in New York? They, in a similar way, kind of take that back seat. At least, my reading of that Renzo Piano building is it’s really taking a back seat to a lot of other factors, like the city and the “public” and the city and the art, in a way. But it’s in sort of a different way, maybe. Do you see a difference in the way the institutions are treating the idea of museum experience? I think what I would compare is not so much the new and old buildings, but the last exhibition that the Whitney put up and the first exhibition that the Met is putting up. Whereas in the last exhibition at the Whitney, they basically devoted the whole museum to Jeff Koons as a type of “hurrah of a contemporary artist,” to make the building feel contemporary by using this blockbuster exhibition of a major artist, versus this notion of the “unfinished,” which is a much more, let’s say, intellectual proposition, less reliant on individual name recognition, and more suggestive of a relationship to the building— a relationship between the art and the building on a conceptual level. These are completely different types of positions on the building from the point of view of the institutions. 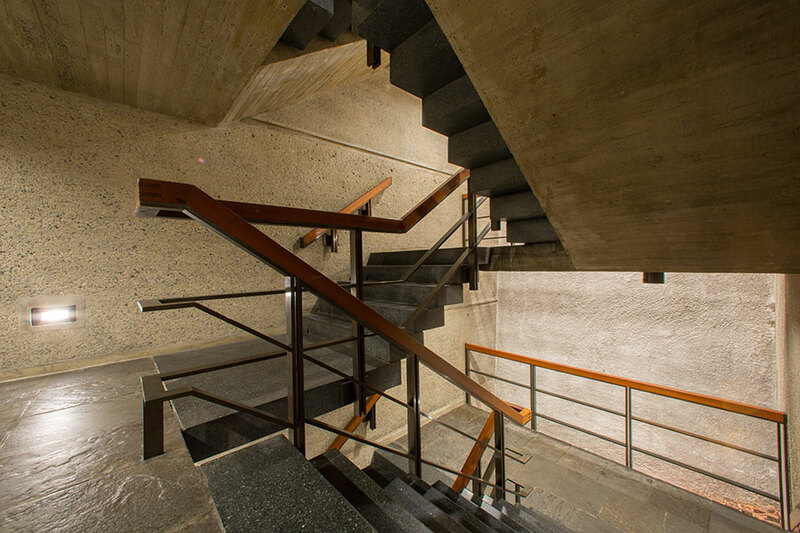 What do you think is the Met’s point of view about the Breuer building? Well, I think that they’ve treated it more like an art object than a building. I think, for example, it is actually sort of telling that Beyer Blinder Belle has decided to leave the image of human touch, you know, the rub, the lifting of the patina of the bronze railings, to leave that as if it still retains that human touch, as if nothing has been redone, and then to redo all the other pieces where there is not that sort of focalization of attention, where you don’t put your hand. I think that, to me, is super interesting. So they basically, looking at that lobby, it has been the focus of all the attention, and it has been treated as basically an artwork, like another one of the Met’s interiors. They collect interiors. When you look at the Met’s collection, it has a very large collection of period rooms where you have a Frank Lloyd Wright period room and you have an early American Colonial period room and a French parlor period room. I think that sensibility of the period room is very interesting, and it’s a little bit the way it has been installed. Also, that big display is like a label for the whole building, like an object needs a label, right? Especially in museum studies. And when you walk into a museum, you look at a painting, it always has a little label next to it. And so that screen is, in a way, the label for the building. It tells us what the building is now, how it’s being used and what to attend to and so on. I think the potential for that screen is very high. I wonder what they are going to choose in terms of artists or people to design that screen. It should be site-specific. But it would begin to question this relationship between the label and the object, and I think that’s really quite interesting. Is this the biggest period room? I don’t think so. I think I would pick Grand Central for that. That’s a big period room. 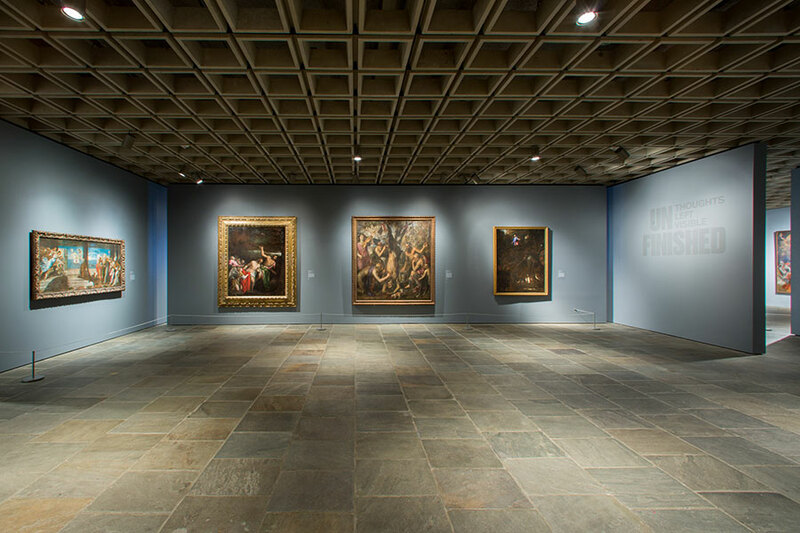 The Met Breuer is probablt the biggest period room of the Met. How do you think that the visitor experience changes with the addition of the public café space in the courtyard, which will be unticketed? Opening up the bottom courtyard to the public is really quite a radical move. That courtyard has been closed to the public for a very long time, and to recuperate that as a public space, so we can walk off the street and go downstairs and have access to the garden in that sunken court, I think is really an extraordinary move. It sort of completely changes the entrance of the building and the experience of the building from the street, and the experience of the visitor off the street. I think that will make it a huge success with New Yorkers and with visitors that this has been given over to the public in a serious way, as opposed to just the paying customers. And I think that in a lot of very successful adaptations of historic buildings and museums or expansions or whatever, there is always a rethinking of the entrance and of the entrance sequence and of the entrance experience. It’s just very important to so-called directors of visitor experience today, but also to architects. If you look at the work of Renzo Piano, he always switches the entrance on the building. Look at his work at Isabella Gardner Museum, or at the J.P. Morgan Library. He always shifts the entrance of the building, of the historic building and makes you enter in a different way and circulate through the existing buildings in a different way. And by circulating through them in a different way, you rediscover them, because the sequence is different, the expectations are different. So I think that opening up of that bottom court does that. It really changes the whole entrance, even though you’re still walking through that bridge. The other thing to remember is that enduring institutions in Manhattan have always moved around, I mean, changed buildings. Madison Square Garden started in Madison Square and is now on 34th Street occupying its 4th building. 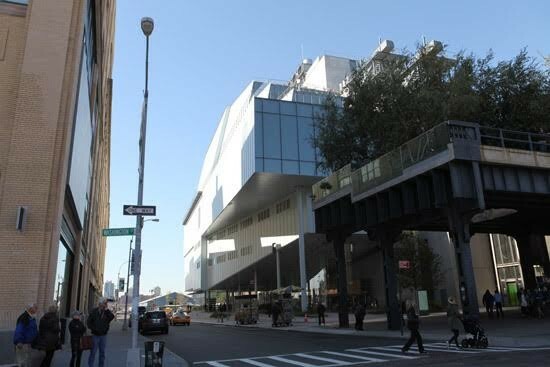 The Whitney itself is now occupying its 5th building. Columbia University used to be downtown; it’s now uptown. A bit like hermit crabs, institutions change buildings as they evolve. I think the Met Breuer is interesting because it invites us to look at at the buildings that institutions leave behind and ask questions about their continued relevance within the cultural life of the city. 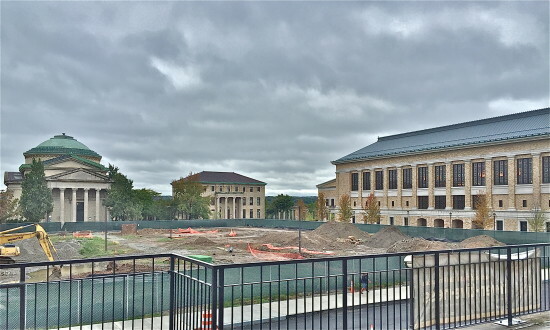 What does it mean for an institution to take over another institution’s building? What sort of institutions will be able to inhabit the New Whitney after the Whitney is gone? Or what sort of institutions will be able to go into MoMA after MoMA moves out? What will be left? Will it be an object to be shared by everyone in this city? To what degree city is a part of the conception of the architecture, I think is really important. 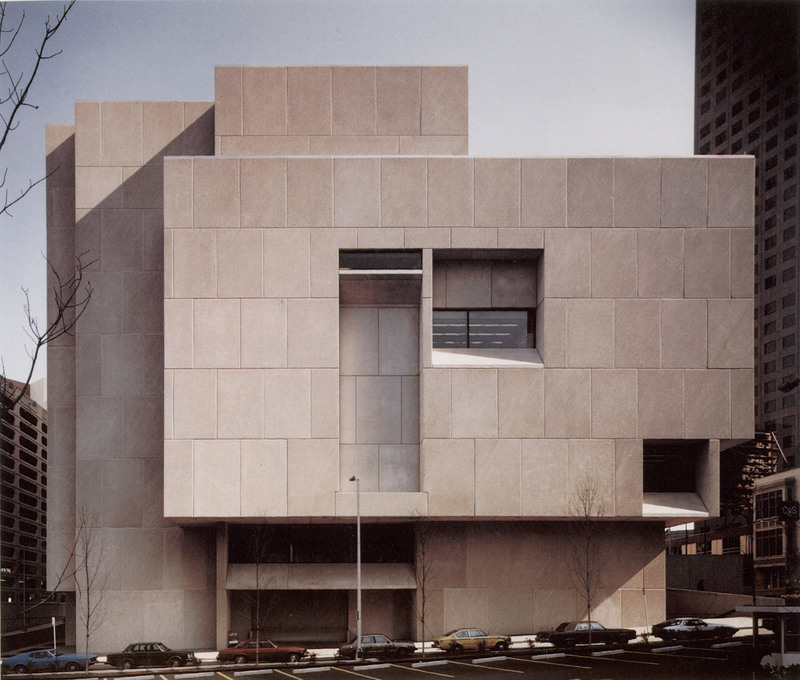 If you look at the Folk Art Museum versus the Breuer building, two very different attitudes about museum expansion and how to deal with an existing significant work of art, of architecture. Now, the Whitney benefited from the fact that it is in a landmark area. It’s in the Upper East Side historic district that protects it. Which was not the case for the American Folk Art Museum. But these are different attitudes to buildings of the recent past, if we can call them that. I think that’s very interesting as a point of comparison of what’s happening in New York City. I mean, it speaks to different attitudes from different types of institutions, different understandings of their duty of care. And interestingly enough, the Met just really started thinking about architecture as a department. They haven’t had an architecture department; whereas MoMA has had the oldest architecture department in the country, for that matter. Maybe that’s a modern versus a sort of pre-modern attitude toward conservation? Or maybe they’re two competing contemporary views. And I think in that is also the degree to which the public is allowed to be involved in the choice and in the discussion about what to do with a building. I think it’s been interesting in both cases. Buildings are constantly unfinished. And so, to get to a point where Beyer Blinder Belle and the Met are actually making in-fillings in the blemishes of the concrete invisible, where they have to actually push the envelope of technology to make that in-fill, to me, is really suggestive of a different type of sensibility, a different way of collecting the present towards the future. I think that, for me, that’s one of the most important things. I mean, there are certain buildings that as New Yorkers, you can’t imagine the future without. And that is part of the future. That is part of a future that is more realistic than this sort of frictionless future where there is no resistance from reality. I think that is part of what this building does. It just resists. It was built to resist the city, right? Interview edited and condensed for clarity. 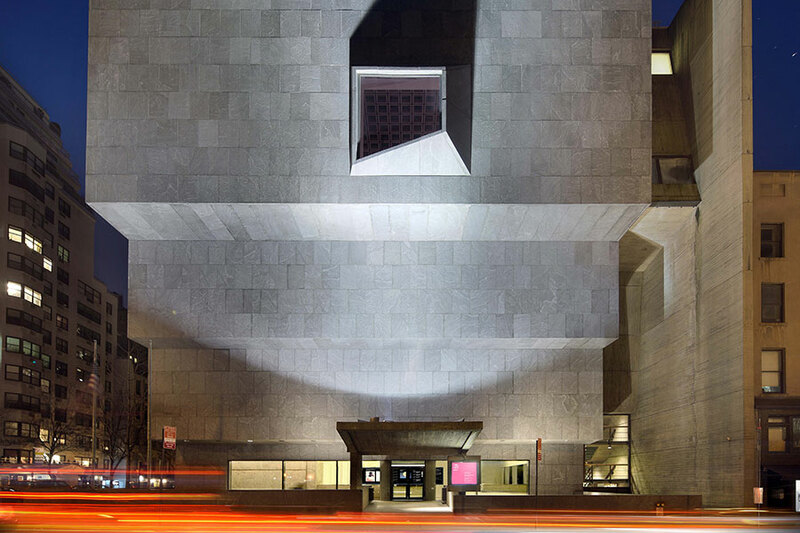 The iconic Marcel Breuer–designed Whitney Museum is set to reopen March 18, giving back one of the city’s most beloved architectural spaces. The building will be reborn as the Met Breuer; the Metropolitan Museum of Art will repurpose our old concrete and granite pal as a contemporary arts outpost in an eight-year lease. The agreement includes a restoration and series of contemporary interventions to bring the museum up to speed. “We wanted to take the building from harsh back to handsome,” said Met exhibition designer Bika Rebek, referencing a 1966 Ada Louise Huxtable article that called the quasi-Brutalist Breuer building “harsh and handsome.” Over time, the Whitney had removed many of the warm, “handsome” parts including rich wood details and colorful carpets. The Met’s in-house design group and architecture firm Beyer Blinder Belle (BBB) had three main goals in mind at the outset: To create a welcoming visitor experience, to treat the building as a work of art, and to establish a Met identity within the building. These three goals presented challenges. “We had to figure out how to update the building without erasing history,” said Brian Butterfield, senior exhibition designer at the Met. Four interventions will provide this update, including the removal of the flag display in the front, a large media screen in the lobby, a new welcome desk with a subtle, angular form that nods to Breuer’s geometric twists in the original building, and a new public café space with a row of trees by Swiss landscape designer Günther Vogt. 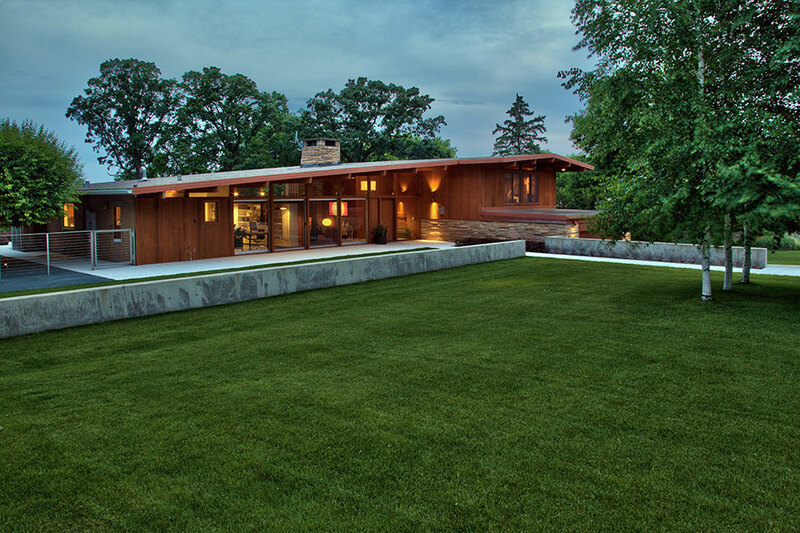 BBB led the restoration, which included refurbishing the bush hammered concrete using a precise matching aggregate. They also refinished the floors and updated the wood and metal around the stairs, leaving the patina to show where hands had worn it away over the years. The Met Breuer will open with its lobby and lower floor un-ticketed. The outdoor area below Madison Avenue will be open to the public, drawing in patrons and passersby. The inaugural exhibitions, also opening March 18, will be Unfinished: Thoughts Left Visible, which focuses on a wide range of unresolved artworks by the likes of Cézanne and Jackson Pollock; and Nasreen Mohamedi, a retrospective of the Indian artist’s career that includes more than 130 paintings.